To fifty thousand readers, Catherine Newman is the beloved author of “Bringing Up Ben & Birdy,” a weekly column on babycenter.com. 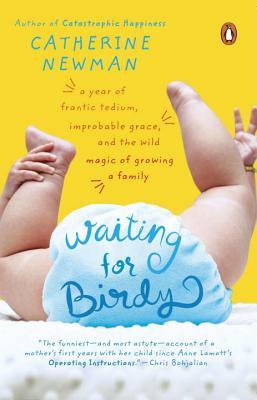 Now in the delightfully candid, outlandishly funny Waiting for Birdy, Newman charts the year she anticipated the birth of her second child while also coping with the realities of raising a toddler. As she navigates life with her existentially curious and heartbreakingly sweet three-year-old, and her doozy of a pregnancy, she lends her irresistibly unique voice to the secret thoughts and fears of parents everywhere. Filled with quirky warmth and razor-sharp wit, Waiting for Birdy captures the universal wonder, terror, humor, and tenderness of raising a family. Catherine Newman is the author of the column “Bringing Up Ben & Birdy” on babycenter.com. A contributing editor of Family Fun Magazine, her work has been published in numerous anthologies.